The ex-Marine and special forces soldier also suggested there might be an all-female version of the gruelling Channel 4 show in the future. Responding to a previous comment he had made, in which he said he did not think there is currently a place for women in the special forces, Middleton told ITV’s Lorraine: “It’s not that I don’t think women could ever join. I think there’s a process. He added: “It’s not just a case of getting onto a course and doing a course, most of us are experienced Royal Marines or from a Parachute Regiment. Asked by host Lorraine Kelly if it should be down to who is best for the job, rather than dictated by gender, Middleton said: “Yes definitely, and the Royal Marine training process and the Parachute training process is now open for women. He added: “I think women would want that anyway. They wouldn’t want to dilute the course, they wouldn’t want to take the easy route, they’d want to earn their right to be on selection, which is a privilege in itself. “I think they should go through the process and should earn their right like anyone else. He said he believes “there is definitely a place for women”, but that “we just need to take our time and we need to get through the process and do it correctly”. 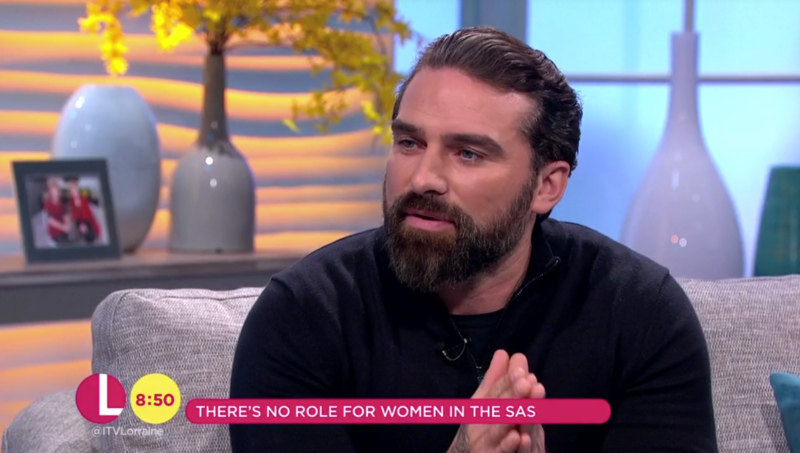 Of SAS: Who Dares Wins, which puts recruits through a recreation of the tough challenges in the SAS selection process, he said there could be women on the series in the future. “You never know, we might do an all-women’s one down the line,” Middleton, the show’s chief instructor, said. Middleton, whose service background includes a four-year stint in the elite Special Boat Service, will be sharing his experiences in the special forces on a new tour across the UK.